Doctor Who and the Doomsday Weapon by Malcolm Hulke is read by Geoffrey Beevers. Novelisation © Malcolm Hulke 1974. Doctor Who and the Daemons is written and read by Barry Letts. Novelisation © Barry Letts & Guy Leopold 1974. 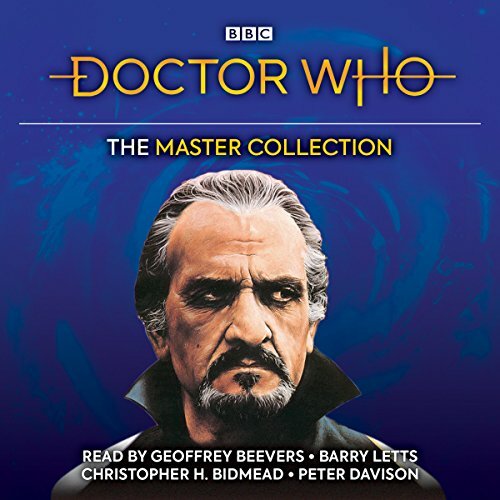 Doctor Who and the Sea-Devils by Malcolm Hulke is read by Geoffrey Beevers. Novelisation © Malcolm Hulke 1974. Doctor Who: Logopolis is written and read by Christopher H Bidmead. Novelisation © Christopher H Bidmead 1982. Doctor Who: Castrovalva by Christopher H Bidmead is read by Peter Davison. Novelisation © Christopher H Bidmead 1983. Cover illustration by Jeff Cummins. I really enjoyed these stories and felt they were narrated excellently. The current Doctor Who show really romanticizes the Master but this reminds you that he is, in fact, a villain. I highly recommend this book.